The PETECUBE project was my final year MA project at the University of Brighton in digital media art / design by independent project. 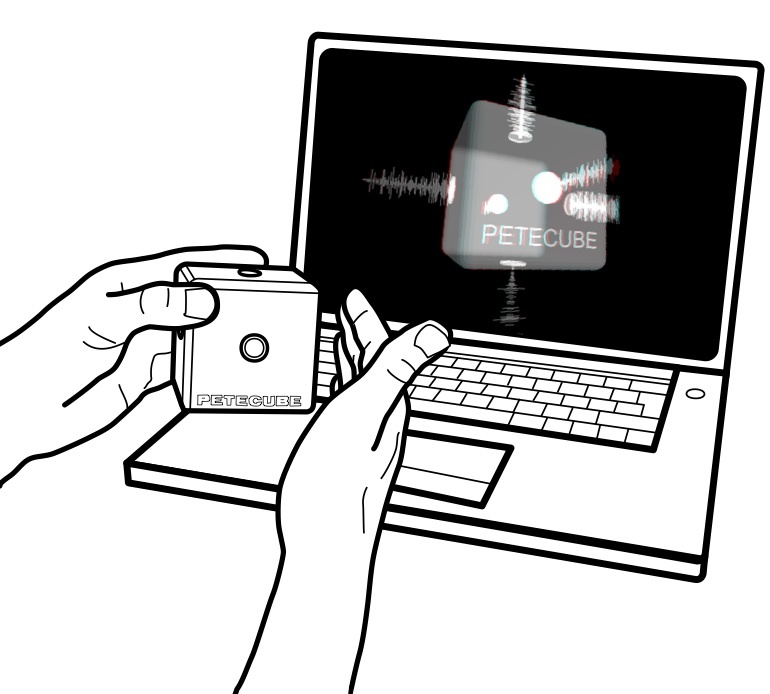 The aim of the PETECUBE project is to investigate the link in new computer-based musical instruments between the physical controller and the virtual model. The software model is made visible in the PETECUBE project through the use of an anaglyphic 3D visualisation. The handheld cubes are 7cm x 7cm 7cm and fit comfortably into the hand. The original prototypes were made out of MDF (which was hidden under a thick coat of paint) whereas the new cubes are made out of solid blocks of hardwood that have been hollowed out. Making further variations of the cubes. Updating the software from C++ (where it only runs on an old iBook) to the much more portable and now adequately powerful language of Processing.